I was pleasantly surprised with this John Glatt book where at least half of the book was dedicated to the history of the couple in this story detailing how they met and details on their marriage leading up to the murder.Included was also the childhood of Jonathan Nyce and then his achievements after college.This was really explained well and I definitely felt I had a good insight into this man's character.The next half was on the investigation leading up to the arrest of Jonathan Nyce and finally the subsequent murder trial.I totally agreed with the sentence passed (for a change). The reader needs to keep track as the story is told by John Glatt with his own perception of what really happened in the first half of the book as he details events that led to the murder.In the next half the reader gets information as detailed in the murder trial.You will notice that the actual murder trial script is slightly different in the trial than in the John Glatt version.The murder trial reflects the events as if they were an accident whereas John Glatt reflects the events as an outburst of rage by Jonathan Nyce.Regardless of this,the sentence that Jonathan Nyce received was,I believe, fair and just. I,as a reader, felt that I understood what Jonathan Nyce went through before finally losing it.To sit at home every evening looking after the children while the person you love is out being unfaithful is enough to drive anyone over the brink.But obviously that is my opinion and not at all of John Glatt's.The reader can usually tell where the true crime writer's sympathies lie when reading a book but the amazing thing is that if you reach the end of the book and feel that your opinion is different to the true crime writer's opinion then you realise that the book was indeed written objectively despite the subtle bias. On Jonathan Nyce's history and childhood which is detailed as wonderful,a light bulb moment for me(that offered a great insight into the parents of Jonathan Nyce) was when Jonathan Nyce called his parents to tell them that his wife Michelle had died in a car accident.The mother then told him she had a 4 p.m. hair appointment and would come through to Jonathan's home after the hair appointment.Can you imagine?The grandchildren needed to be comforted and the grandmother goes and has her hair done first? 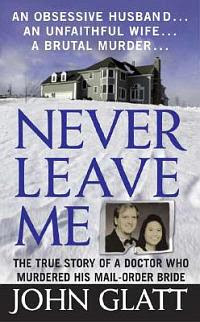 This book was a really great read and as usual John Glatt did not disappoint me.In fact in my opinion this is the best book of his that I have read so far.I would definitely recommend reading this book Never Leave Me by John Glatt. or if you want to access more readers reviews on this book then you can access via the Amazon link below and check out for "reviews from readers"
I read this book in April 2009 and has 8 pages of pictures.The pictures are very personal with some photographs of the children and the big imposing home where the little family lived.This was a really tragic story and provides deadly consequences of unrequited love. I watched this on Dateline, and I was saddened by the way this hateful woman treated this caring loving man. She called him terrible things, fat, old freak, and my heart just breaks for him. He just loved her, that was his mistake. 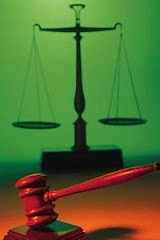 I agree with the verdict, it was an accident, a crime of passion, and I am glad he is out now with his family.